We all knew this day was coming. And yet the news of his death was greeted less with overwhelming sadness for his passing, than with overwhelming emotion and thanks for his life. Because if one man had fought the good fight, done his duty and fundamentally changed the world, it was Madiba. And outside his home as the news broke, South Africans were dancing in the street. 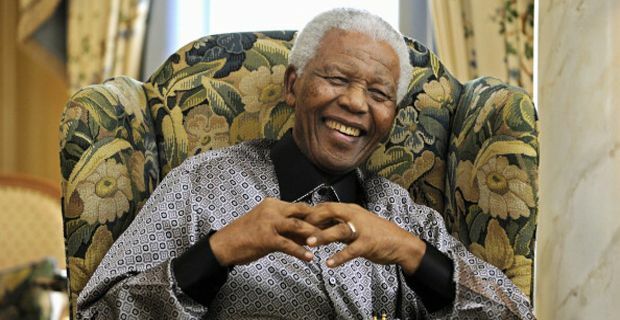 During his 27 years in prison, Mandela became a myth, a figurehead for resistance. He entered a firebrand activist and emerged as one of history’s greatest statesmen. Forced to rely on the strength of his character and his own unbending will, he not only proved unbreakable, but mastered both the art of true leadership and triumphed over oppression with extraordinary mastery. He was no unblemished saint – indeed he was far greater than perfect - he single handedly managed to shape bitterness, fear, anger, violence, morality, justice, injustice and division into a new dawn. Forged in the grim realities of struggle, he emerged with forgiveness in his heart, with unity as his vision and with the ultimate strategic victory. From the moment he was released, with white South Africa consumed by fear of revenge, he set about creating the ‘rainbow’ nation. Confounding the confrontational mindset of oppression, he spoke of forgiveness and acted to bring about what reconciliation was possible. If he could forgive after 27 years in prison, after having lost a son, then so could the rest of black South Africa. Only Mandela, who had used violence, who had suffered more than almost anyone else, who had been at the forefront of resistance even when the regime had tried to erase his very identity, had the moral authority to stay the bloody hand of retribution. Some call it collaboration, others compromise, but his achievement in such a powder keg, laden with the torments of injustice, was surely the greatest diplomatic acomplishment of the twentieth century. The result was far from perfect, but resembles near perfection when the context is considered. How much more bloodshed could there have been. And Mandela did not stop there. He resigned his office and oversaw a peaceful transfer of power, an act as important as the reconciliation itself. He could have remained a despot, he could conceivably still have been President at his death in time honoured African style, but he sowed the seeds of genuine democracy by being the first to surrender power – again leading by extraordinary example. His heirs may not have lived up to his legacy and South Africa may be mired in corruption and the political inertia of a virtual one party state, but it’s a painfully slow road back from the inhumanity and dysfunction of apartheid. If one rejects the flippant temptations of moral absolutes, Mandela’s achievement in shaping South Africa for the better is monumental. And his achievement in changing the world is no less so. He was the last great statesman, leading by virtue and unshakeable authority. He towered head and shoulders above career politicians, the weak, the short-termist and the venal. Millions shed tears last night for what Nelson Mandela taught us about the possibilities of humanity – for what it means to build a better world out of the shattered ruins of bloody history. Had he been a saint, it would have had none of the same resonance. He knew what it was to resort to violence. He knew what it was to hate. He knew what it was to fear. And he knew how to overcome those most primal and powerful of instincts. Ultimately he knew what direction had to be taken to try and break the cycles of enmity and was enough of a politician to use forgiveness as a strategy as well as a moral end in itself. And perhaps that was his crowning glory. Nelson Mandela was no saint. No, he was an extraordinary human being. And perhaps that is the greatest testament of all.